I love that you are here on my website. It’s a little like coming into my house. So come on in, sit down and let me tell you a bit about my story. At one time I weighed 430 pounds. It’s really true. My life was quite a mess. Today, I’ve lost more than 260 pounds and kept it off for a number of years. I know now how to sustain weight loss. I had to understand that I am a sugar and comfort food addict. It’s more difficult than most any other form of addiction because the kinds of foods that pull me are everywhere and everyone loves them, serves them and thinks they can’t live without them. That used to be me, but now I know I can live without them, in actuality I can thrive and live a much more exciting life without them. Before I understood that I was a sugar addict, I could lose weight. That really wasn’t the problem. The problem was after losing 100 pounds, I’d go back to the same habits I had before and that would end in me gaining the weight back plus more. At one point I just decided I was doing more harm than good, so I’d just stop the madness and eat what I wanted. I was smart, educated with bachelor’s and master’s degrees. I had edited a ton of publications and newspapers working as a journalist and free-lance writer and editor, but I couldn’t seem to sustain any weight I lost. Finally, though, God got it through my thick head that surrendering the foods I thought I couldn’t do without was the only way to health and the possibility of a longer life. He took me by the hand and led me on an amazing journey. Isn’t Giving Up Sugar Depressing? I was asked recently on a television interview on CTN in Florida, “Isn’t it depressing to think that you can never again eat sugar?” I answered with something like this. “I had to learn that I am a sugar addict. Others can eat sugar. You can, your husband can, my husband can, but I can’t. When I eat it, I can’t stop. I’m just like an alcoholic only with sugar. To get free of my extreme weight, I had to give it up. In my favorite Scripture God tells me exactly what I need to walk this journey. “My grace is enough. It’s all you need. 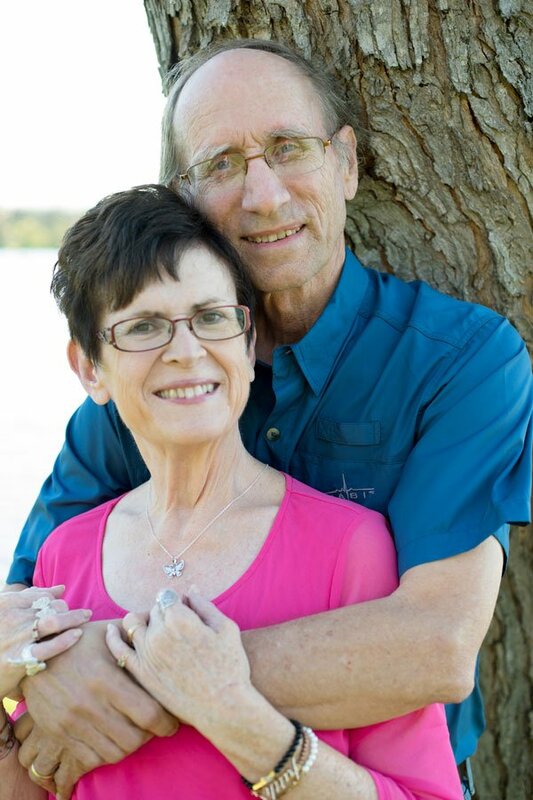 My strength is made complete in your weakness.” I admitted my weakness and inability to walk out of food addiction by myself and asked for Him to strengthen me so I could put one foot in front of the other and begin this journey. God didn’t take the fork out of my mouth. I had to do that myself. However, He did make a way of escape during temptation2 if I wanted it. If I would take it and I began to listen and do just that. I’ve lost the equivalent of two people. I look back at my before and after pictures and it feels like an impossible journey. That was me and that is me now. It’s really like I have been two different people. My life today is more than amazing. I live a crazy good life with my husband of 40 years. We are more in love today than we ever have been. Those moments of intimacy where we connect with each other and God Himself are more than real to us. We live in altered states and we love it. (That’s a poem by the way. Just click on the title). These days I’m living my dream of writing, coaching, speaking and conducting workshops. I love it so much. I can’t believe I get to live this crazy, good life. It says to me that it’s never too late to pursue your dreams. I’m a writer, always have been. I was born with ink running through my veins. I’m sure of it. My dream was always to write a book. In 2013 God tapped me on the shoulder and showed me the book laid out in the heavens. It was the story of my extreme weight loss journey. At that point, I had spent almost 10 years on my weight loss journey. I had no idea it would culminate with a book. 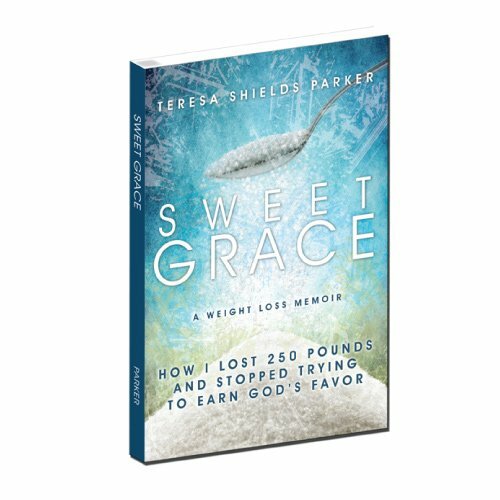 Sweet Grace: How I Lost 250 Pounds and Stopped Trying to Earn God’s Favor, the long-standing #1 Christian weight loss memoir on Amazon, was that book. 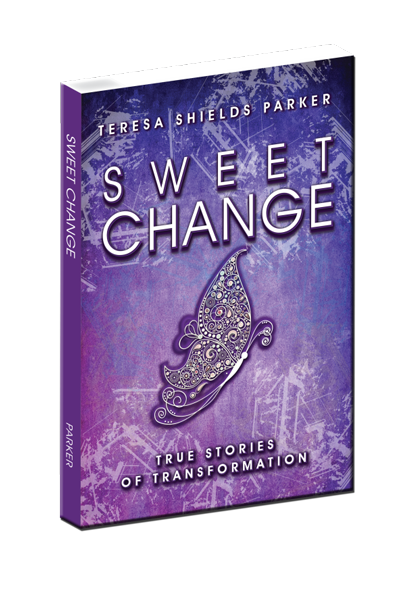 I followed that up with Sweet Grace Study Guide and then, Sweet Change: True Stories of Transformation, which includes stories of others who are on this transformation journey. It also includes information from me about the entire change process that is so integral to weight loss. 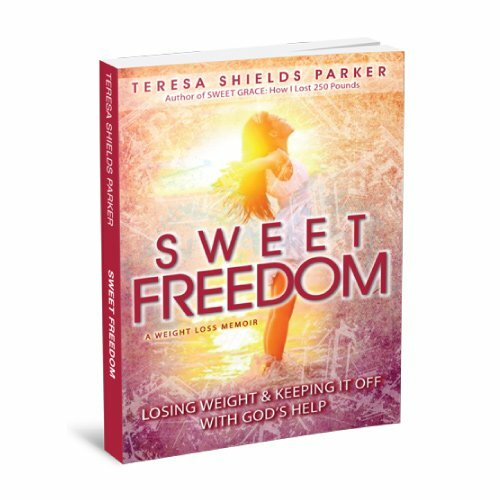 In 2016 I wrote Sweet Freedom: Losing Weight and Keeping It Off With God’s Help and Sweet Freedom Study Guide. Where Sweet Grace focuses mainly on my physical journey, Sweet Freedom goes deeper into the emotional and spiritual journey we must go on in order to not just lose weight, but keep it off. I’m always working on new books. 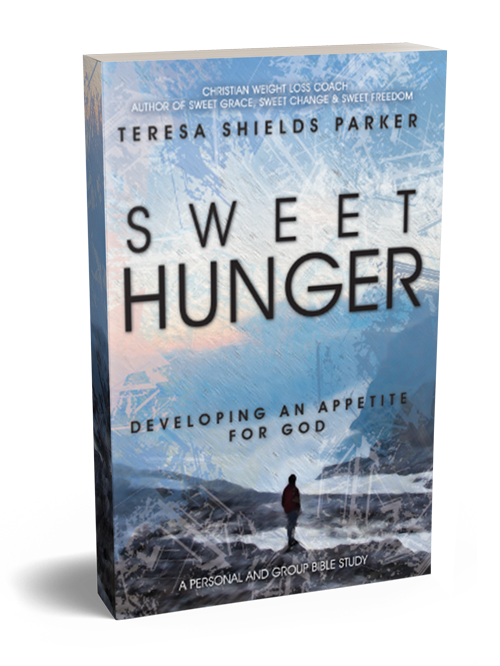 Next book scheduled for release in early 2017 is Hungry: Developing an Appetite for God, a six-session small group Bible study. Following that will be Start Now: Secrets to Beginning Your Weight Loss Journey. I have other books on tap even beyond that including another Bible study, another memoir and the most scary one of all for me, a fiction book or two or three. In 2014 God opened the curtain of heaven for just a moment to show me I needed to begin weight loss coaching. So with fear and trepidation, Sweet Change Weight Loss Coaching and Accountability Group was birthed in July of 2014. That group has grown and morphed into my premier coaching group with a stellar resource vault of coaching videos, which continues to grow as we pull out more to add to it. The vault is exclusive for members of the group. It also includes two teaching videos, a Q&A video and a live video call every month. In addition, I answer questions in the group and provide coaching and direction for those struggling to grasp hold of God’s hand to lead them on this journey. #KickWeight is an entry level six-month coaching group. It includes 13 teaching videos and 13 Q&A videos. This lower cost group is designed to catapult members into beginning their weight loss program. The #KickWeight videos are not sold on the website, but they are available in the Sweet Change Video Vault as I refer to them often when people need a refresher of basic concepts. Other selected Christian Weight Loss Coaching Videos, along with study guides and actions, are sold on this website under the weight loss tab. For those who want one-on-one coaching try my highest level VIP Freedom Coaching. This includes six one-on-one sessions with me over a three-month period and teaching videos in a small private group. I give personal attention to this group of individuals who want to address issues that are holding them back in every area of their lives. 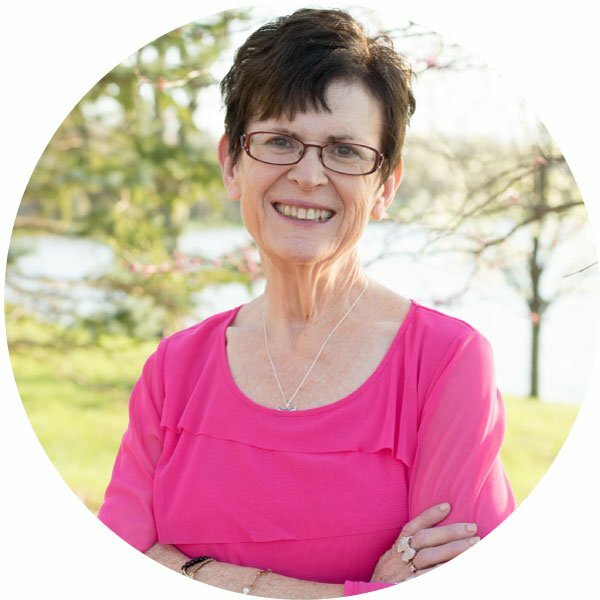 I also have Write the Vision Coaching Group where I help those who need writing, website or social media coaching and Write Your Story Workshop Video. If you’d told me back when I weighed 430 pounds that I’d love speaking one day, I would tell you that you are crazy and certainly no prophet. However, today I can say I love to speak. As my schedule allows, I’m always ready to share my story or to help in a conference or workshop. From left to right, the Parker family includes: Roy, Jenny and Nigel Church, Andrew and Teresa, Jan. 9, 2015. I mentioned my husband, Roy, already. He has been the glue that has held everything together. He is a very consistent, steady, peaceful man, exactly the one God knew I needed to keep my life from going off the deep end. He has loved me through thick and thin, more of the former than the latter. We have two grown children, Andrew, and Jenny. Jenny is married to Nigel. Momma is doing a happy dance because they have moved back to the United States, actually even the same town as us. They were in Japan for four years teaching English. Harley and Fluff, two beautiful Birman cats actually think they own our house. I call them grand-cats because they belong to my son. Through the years we have been foster parents to 10 behaviorally-challenged and developmentally-delayed teens and young adults. Our house is always noisy and busy, but also full of God’s precious Holy Spirit. One final word about navigating this website. We are always redesigning and making the site better and easier for you to use. You’ll notice the tabs across the top. They pretty much have the things they say they have underneath them. We’ve designed content so that it is easy for you to find. I am a writer who has lost an extreme amount of weight. So I have two huge areas I am passionate about—helping others write their story of how God is at work in their lives and helping people lose weight. You’ll see those passions reflected in most everything on this blog. I’m an avid blogger having been at it for about 10 years. I’ve written journalistic articles, poems and short stories for decades. On this site there are over 750 posts. Search by Scripture or topic to find various posts or use the categories under the blog tab. Wonder where to go on the website or how to start? Here are some ideas. Take Teresa’s FREE 10-Video KickSugar Course. Choose a Christian Weight Loss Video Short Course and get a taste of coaching from Teresa. Enroll in #KickWeight or get on the waitlist if it is currently not open. Enroll in Sweet Change Weight Loss Coaching Group. You will get access to Teresa’s Video Vault which includes the #KickWeight videos. (This is the only other place these videos are available other than #KickWeight Group). Join VIP Freedom Coaching for one-on-one coaching with Teresa for any presenting issue you have, including but not limited to weight loss. Read Teresa’s books beginning with Sweet Grace. Don’t forget the study guides. Connect with her on Facebook, Twitter, Pinterest and Instagram. If you came to my house, I’d probably want to give you something, even if it was a cup of hot tea or a bottle of cold water. When you come to my website, you’ll find me doing the same thing. I have many free gifts under the free tab. They include free chapters of all my books, including an audio of me reading a chapter from Sweet Freedom, a free ebook for writers , the free Sugar Addiction Quiz, and most recently added: the Sweet Hunger Leader’s Guide. By far my most popular free gift that thousands have taken advantage of and the course I ask every one of my coaching clients to go through is #KickSugar. Don’t leave without getting that course. You’ll get an email a day for 10 days telling you what’s on tap for the next day and giving you your password and url since I’ve found that also is a free gift because many lose it! It is my desire that just as you would feel when you walk into our home, you would feel that same presence of His precious Holy Spirit here as you peruse everything we have to offer on this website.